The John Deere Agriculture Technology (Ag Tech) program is designed to advance the skill level of new John Deere service technicians and prepare them to excel in today's high-tech, fast-paced field of agricultural mechanization, a career path with excellent employment opportunities. Students who complete the two-year program are awarded an Associate of Applied Science in Agriculture Equipment Technology. Students learn within an environment that stresses a balanced rotation of classroom theory and hands-on labs outfitted with advanced training aids and the latest equipment. Students gain valuable, practical insight and real-world experience by applying what they have learned during paid internships at John Deere dealerships - a wonderful opportunity for students to earn while they learn. Power Up Your Career with John Deere! 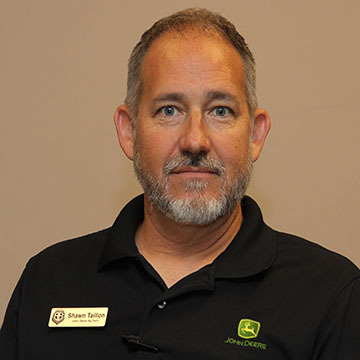 The John Deere Ag Tech curriculum, designed by John Deere and ASU-Beebe, addresses the full range of technological advances across John Deere's Agricultural Equipment and Turf Equipment product lines. 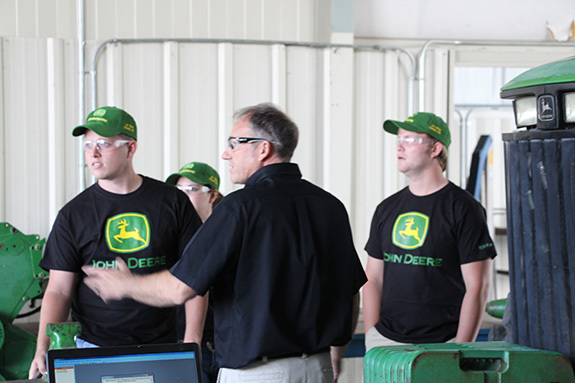 John Deere provides approximately $1 million worth of equipment for lab activities. Instructors provide personal, dedicated instruction on engine systems, powertrains, hydraulics, machine setup and adjustment, as well as high-tech precision farming systems, electronics, schematics, and diagnostic computers. 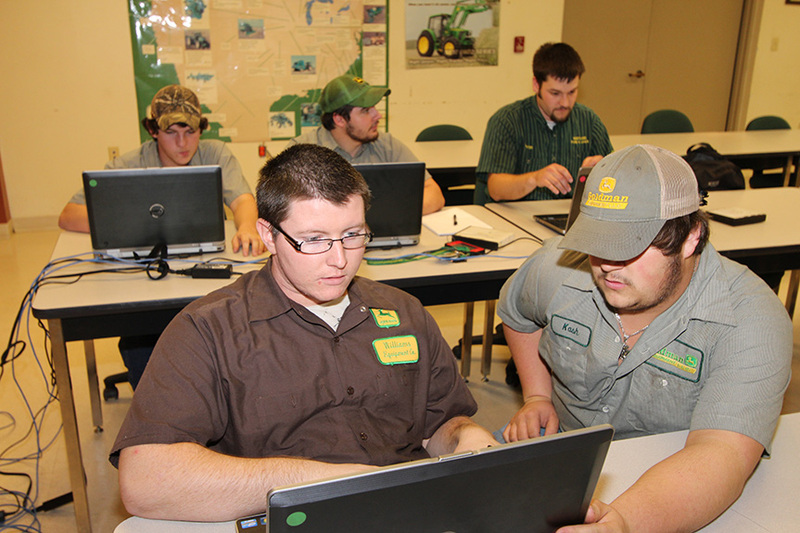 Students also gain practical experience and expertise working with the computer-assisted resource materials used throughout the John Deere service network. For more information on the John Deere Ag Tech program or other technology degrees and certificates, call 501.882.8822 or email us. Based on information from Arkansas Occupational Employment and Wage Survey, May 2016.
average wages reported by Program Graduates in the John Deere Agricultural Equipment Technology. 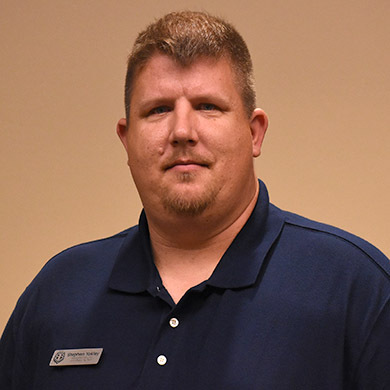 The Associate of Applied Science Degree in Agriculture Equipment Technology has been accredited since 2014. 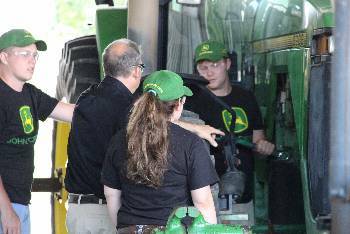 The Associate of Applied Science in Agriculture Equipment Technology is designed to develop students as John Deere service technicians. The curriculum is designed by John Deere and ASU-Beebe to focus on the entire line of John Deere products. The goal is to provide the students with experience in hydraulics, electrical systems, engines, power trains, air conditioning, machine adjustments, Service Advisors, and the entire service system. If you are interested in applying for the ASU-Beebe John Deere Ag Tech program, contact your local John Deere dealer, or inquire on the ASU-Beebe campus. For acceptance into the program, all students must meet the admission requirements of ASU-Beebe.